A prostitute turned entrepreneur, who hires a ghost writer to make a biography. Time is ticking and history would be altered. What would be the fate of Nazaqat? Will she succeed in her vision or she would end up as a victim? 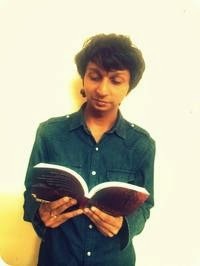 Harsh Agarwal, who has just embarked his twenties, believes that Life is all about experimenting and exploring. An artist by soul, an entrepreneur by profession and an engineer by education, Harsh has played a diverse range of roles in a very short span of time. A true foodie and a huge travel enthusiast, Harsh loves to meet new people and try new things. At present, he is residing in the beautiful state of Assam to complete his graduation in National Institute of Technology, Silchar. I had heard a lot about this book and after reading the book review by Privy Trifles I had made up my mind to buy the book. In fact, I had added it to cart on Flipkart when the author agreed to send the book to me for review. It goes without saying that I had a lot of expectations from this book even before I opened the book or even before I read the blurb. I started reading almost immediately but due to other commitments I had to stop reading in between. Or else, I could have finished it in one sitting. 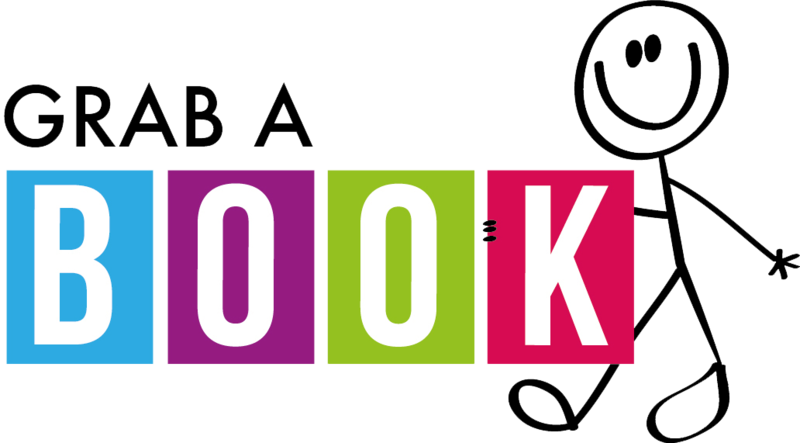 To begin with, the book does have the potential people are talking about. Though, I would recommend that you do not read with the kind of expectations I had. I did not find the book disappointing in any way, but truth be told, the reviews, facebook statuses had increased my expectation level. Of course the book is a wonderful read. The story line is intriguing and keeps you interested. The beginnong of the book is strong, makes you want to read more. I loved the way the author draws Simile between Nazaqat - the female protagonist and Mermaid. The poems scattered in between, once again - written by the author, add to the beauty of the words woven to make Nazaqat how it is - Simple yet powerful. 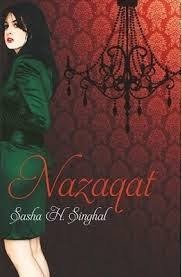 As the blurb tells you, Nazaqat is a story of a prostitute turned entrepreneur who gets her biography written by a ghost writer. 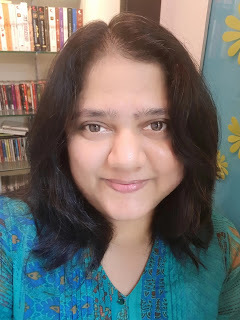 As Nazaqat dives into her past for the writer, the reader gets to read about her as a 14 year old lonely girl to a woman she becomes - a woman with a vision to legalize prostitution in India. The language is simple, apart from a few grammatical errors, the book is well written. The sentences are short, sometimes too short. I found myself being abruptly stopped at a few places. Having said so, this also also makes it easy for the reader to grasp the plot. Overall, Nazaqat will give you a good company when you want to spend an evening in silence, alone with yourself.